Success Story is set to face fourteen rivals when he makes his Dubai World Cup Carnival debut at Meydan this Thursday evening. The five-year-old will run in race 6 on the card, the “District One Mansions” 1600M Handicap on the dirt at 9.55pm local time (2.55am Friday in Seoul). Success Story will break from gate 4 and will be ridden by Irish jockey Tadhg O’Shea. The race looks a very competitive event with some up and comers as well as some very experienced winners among the fifteen-strong field. Carrying 57kg, Success Story finds himself right in the middle of the handicap and faces a stern test. Click here for the racecard from the Emirates Racing Authority. 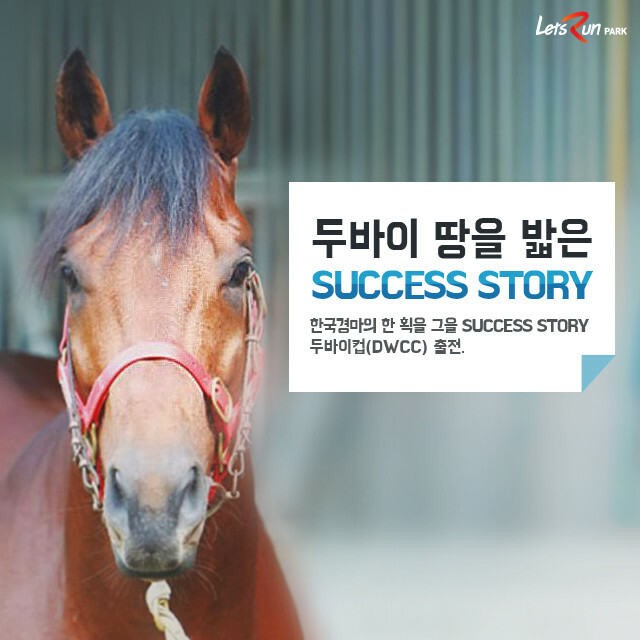 Success Story gets a mention in Katherine Ford of Equidia’s piece on Korean racing at Thoroughbred Racing Commentary. Read it here. In other news on what has been a bitingly cold few days in Korea – the cold snap is expected to last through the weekend with temperatures down at lows of -15C which should make racing fun for all concerned – the 2016 race plan, which will take effect from February, has been published. As expected, the rating system will be adjusted (a work that has been in progress since last September) while two new race series; a Juvenile Triple Crown and the intriguingly named “Triple Tiara” are also included as well as final details for the International Weekend which this year will take place on September 10/11 with a new Million Dollar Korea Cup the highlight. More on all this over the Lunar New Year break.